A couple of days ahead of monetary policy statement, a widely-tracked Nikkei's purchasing managers' index (PMI) showed that manufacturing activities slowed down to a six-month low in March as new orders and production decline. This prompted a commentator on PMI to say that that RBI should cut the rate and the government should announce stimulus to spur manufacturing. Most companies did not hire additional labour in March. 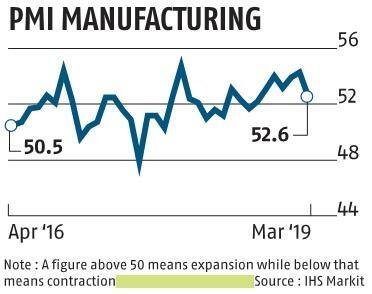 PMI declined to 52.6 in March from 14-month high of 54.3 in February. A reading above 50 indicates expansion while a print below that level points to contraction. "Falling from 54.3 in February to a six-month low, the latest figure highlighted a loss of growth momentum," said a commentary on PMI. 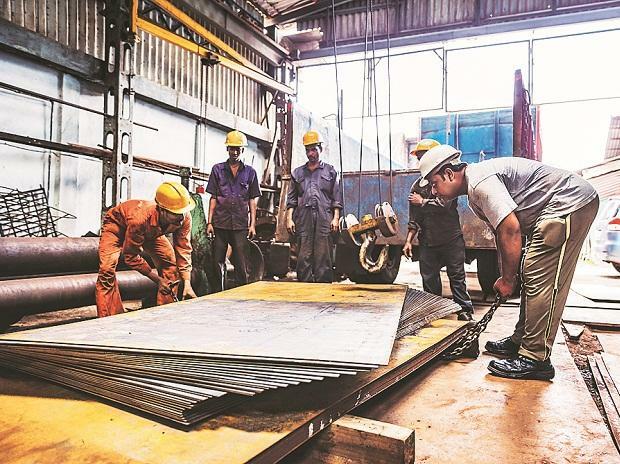 It further said although operating conditions in the manufacturing industry continued to improve, there was a widespread slowdown in growth. According to the report, factory orders and production expanded at the slowest pace since last September, while job creation eased to an eight-month low in March. Ninety-two per cent of companies surveyed did not hire any additional hand. However, business sentiment strengthened to a seven-month high. Pollyanna De Lima, Principal Economist at IHS Markit and the author of the report on the PMI, expected stock-building efforts in the coming months and robust business sentiment to support output growth and further lift payroll numbers. "Expansionary public policies such as fiscal stimulus and interest rate reduction should also assist the manufacturing sector in gaining some traction in the near term,” De Lima said. The index is based on data compiled from monthly replies to questionnaires sent to purchasing executives in more than 400 industrial companies.